The size of a kayak is something that can easily make a problem, especially if you don’t have enough storage for it. This is the reason why a lot of people simply choose not to get one. Pakayak, on the other hand, solved the problem by making a Bluefin 14, a packable kayak that can be assembled in no time. In fact, the time you need to assemble Pakayak is almost the same as if you were unloading it from the top of your car. When assembled, Pakayak has 14 feet and when you pack it, it turns into a 3.5-inch kayak. Everything else looks just like a traditional kayak, the design and the paddling and it weighs 55 pounds. 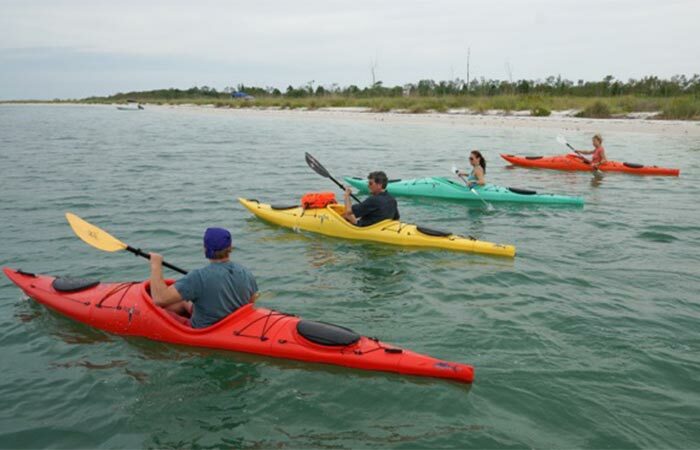 Pakayak Bluefin 14 is a packable kayak that can easily be assembled and packed. It has 14 feet and can be packed into a 3.5-inch kayak. The “bomb proof” construction seals the connection points with a strong four-point clamping technology, so the kayak is completely watertight. You don’t have to worry about it at all. It took the team four years to construct it and they made sure to pay attention to all the smallest details. You don’t need an instruction manual to assemble Pakayak. Basically, all you have to do is clip all the clamps and that’s is, you’re done. When you pack it, it can easily be carried by one person. Also, it’s very convenient for storage since you can put it into a trunk, elevator, garage, or anywhere you want. Pakayak will be launched next week on a Kickstarter campaign. Don’t forget to check out this video and see how Pakayak packs.